Ready to get started on your application? 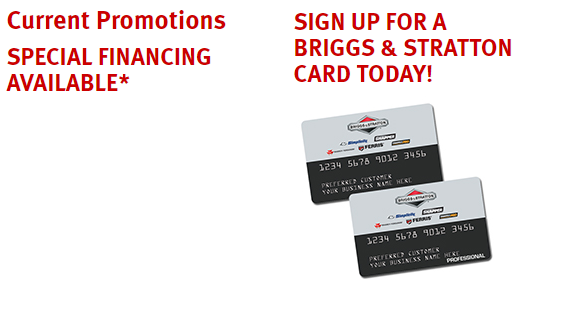 Please call us to learn more about the factory promotions that may be of interest to you today. We accept Visa, MasterCard, American Express, and Discover. 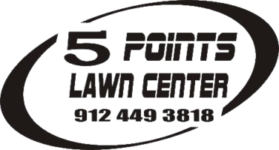 We also have 0% Financing Available on new Mowers. Please keep in mind that there are also “Everyday Plans” for other things you may need to finance, like parts and accessories, to keep your season going and your team working. Just ask us about these plans when you come into the store. 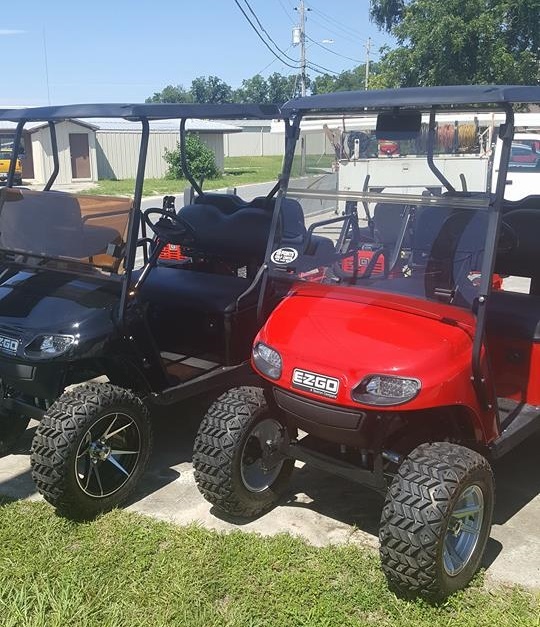 Golf carts have as low as 3.99% financing available (with approved credit). If you wish to finance, contact us today, and let’s get the ball rolling!